Let me remind you that we are considering objects with a dynamic structure and their implementation using Java 8 Optional<T>. 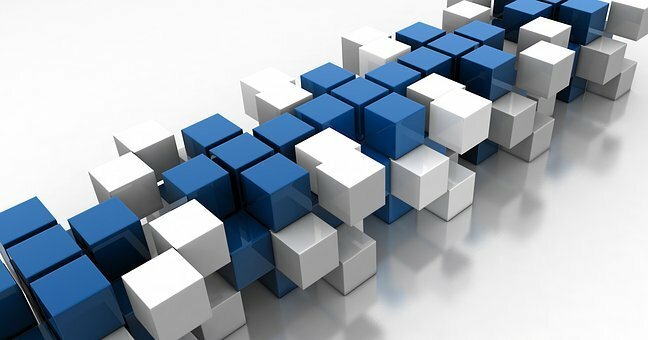 In the previous post, we discussed the use of Optional by developing of suppliers. In this post, we will consider the use of Optional in the two remaining STC (Supply-Transform-Consume) steps: in converters and consumers. The transformer receives an input some object and either modifies it or converts it to some other object. In our case we always have an Optional<T> as an input object. It can be imagined as a case or container which contains or not contains an object of type T.
You can convert it either into a “real” object of some type, or into a new case (container) with a new object. In the previous posts of this cycle, we have already considered most of these methods. Only filter and flatMap remained unreviewed. Below in this post, we’ll look at examples of using these methods. In the following example, we’ll look at the use of the filter() method, which returns an object only if the case (container) is not empty and the object contained therein satisfies some criterion. If a value is present, and the value matches the given predicate, return an Optional describing the value, otherwise return an empty Optional. 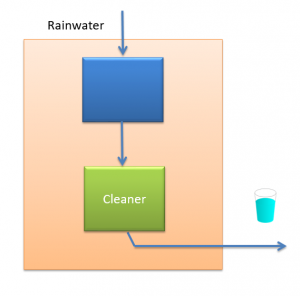 In our case, as an object, we will use a portion of water in a rainwater tank. Without going into the analysis of physical and chemical characteristics, we will assume that the collected water can be either clean (pure) (satisfy the criterion) or not. Our device can controll the quality of water and delivers water only if the collected rainwater is clean. The simplificated diagram of the device is shown in the figure below. As you can see, using the isClean () method, you can request whether the collected water is clean or not. This class is used as an input parameter in our device. The same object but in the “case” is used at the output of the device. And again we will prepare first a test to check the correctness of the simulation of the behavior of our device. It is not difficult to see that the expectations in the tests below fully correspond to the behavior table presented above. Well, now let’s go to the implementation of our class using Optional<T>. Boldface shows the use of the filter method. The criterion is the value returned by the isClean() method. Also note the use of the ofNullable() and filter() methods in the call chain. Is not it, looks very elegant? Suppose that the device considered in the previous example is replaced by another, capable of cleaning contaminated rainwater. Its simplified scheme is shown below. If we compare this and the previous table, we will see the obvious advantage of the new device: it gives out clean water even if contaminated rainwater enters the tank. Using the flatMap method is highlighted in bold in the code. Unlike the map method, this method returns not the object itself but a case (container), which can contain the object or can be empty. If a value is present, invoke the specified consumer with the value, otherwise do nothing. As you can see, the method does not return any value, but it allows to process the object in the case, if it is present there. If it’s not there, nothing happens. Let us consider this with the example of another device, which is an extension of the previous with one additional function. The new version of the device can not only clean the rainwater of pollution, but also mix it with certain additives. As in the previous examples, we will not be interested in the physical and chemical details. The behavior of the device is similar to the behavior of the previous device, but instead of clean rainwater, we get clean rainwater with the desired additives. The use of the ifPresent () method is highlighted in bold. As you can see, the input method parameter is a method mix() from our class. 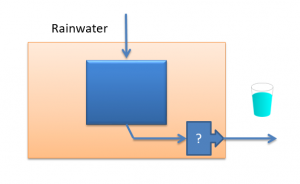 It in turn expects an object of type CupOfWater as an input parameter. 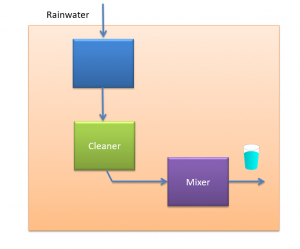 Note that a case with an object of this type returns the getCleanedWater () method. Well, that’s all the examples I wanted to consider for the Optional<T> class. But our discussion about this class is not over yet. In the next post we will sum up and talk a little more about various interesting aspects of this class.